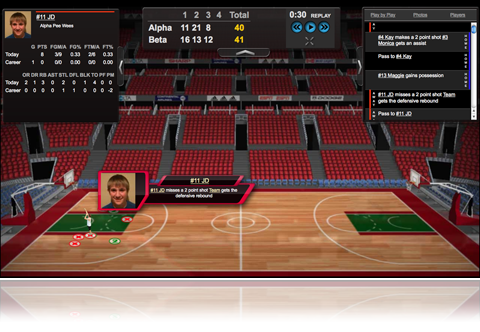 iScore Basketball is the easiest, most intuitive way to track a basketball game. 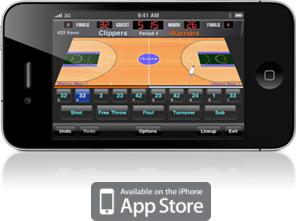 iScore Sports, the world leader in mobile scorekeeping, is proud to bring you the #1 basketball scorekeeping application, providing unparalleled data collection, stats reporting and live game scorecasts. 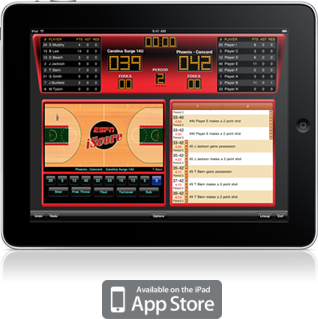 Scorekeepers of all levels will love the ease of use and flexibility while the statisticians will appreciate the comprehensive game and season stats that no other scoring app provides. Following the iScore tradition of "score what you see", you will be able to score live basketball games and immediately produce statistics that every coach, player, and team parent loves to see. Track as much or as little detail of the game as you would like. Works great for scoring youth basketball, high school games, college games, and even professional games. Elevate your youth sports to the next level with iScore Basketball. Individual game stats and shot charts for every player. Email each players stat histories individually. Track one or both teams. Players can be assigned multiple positions. Optional Team Websites provide a fully customizeable website with one button touch stat updates. Choice of Scoring Mode - Game, Coach, or Adjust. On screen player photos in Coach Mode. "Full Screen" vs "Split Screen" scoring. Connect to External Monitor - allows fans to see a scoreboard on a monitor connected to your iPad while scoring! Do you have family and friends from out of town or around the world who would love to be at the game. With i-Scorecast they can feel like they are really there. Simply enable scorcasting in the iScore Options screen on your device and viewers will be able to log into the Scorecast Viewer in a browser to watch live updates as they happen. Scorecasts can be viewed from any device by going to http://basketball.iscorecast.com and typing in the scorekeeper's customer ID.